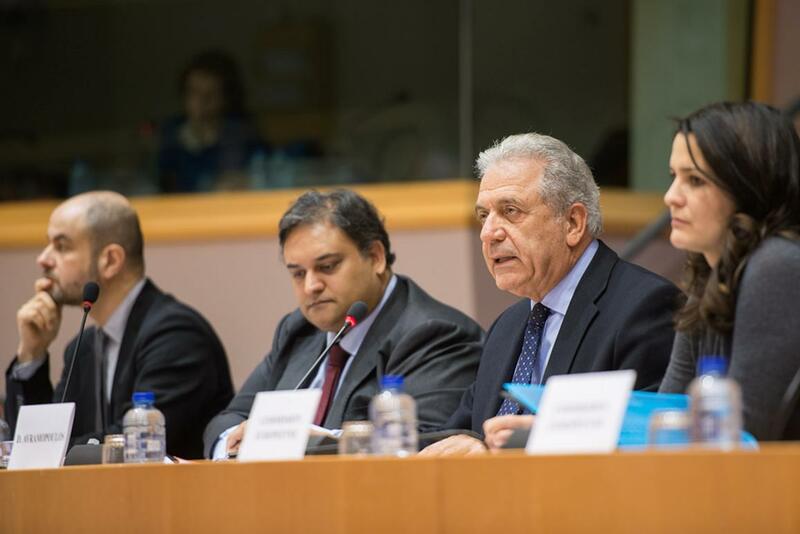 Migration Commissioner Dimitris Avramopoulos joined the Civil Liberties Committee on Thursday to debate the implementation of measures to tackle the migration and refugee crisis, including relocation and work in the reception “hotspots”. MEPs also raised the issue of the future of Schengen as well as the need for a review of the Dublin system. Commissioner Avramopoulos condemned the recent terrorist attacks in Istanbul and referred to the recent proposals on firearms and counter-terrorism. He called on Parliament to look for compromises on these pieces of legislation. Regarding migration and refugee flows, the Commissioner admitted the relocation scheme was not working and asked member states to step up their efforts. Several MEPs asked the Commission to focus on promoting legal ways for migrant and refugees to enter Europe and criticised the lack of progress by Turkey in controlling migrant flows and combatting smugglers. You can catch up with the debate via EP Live and read @EP_Justice´s coverage on Twitter.